Close to the capital of Athens, these islands located in the Saronic Gulf, are your best choice if you have a few days vacation. The Saronic gulf which is ideal for sailing because of the various directions the wind is blowing, and the islands which are 20 to 40 nautical miles from Athens can offer you not only weekend solutions but also an alternative for Autumn or even a Spring vacation. You’ll never get bored on these islands all year round. Lots of natural beauty, clean sandy beaches and even small deserted islands to explore, for great swimming, scuba diving or even fishing. Visit them even on your way to the Aegean Sea to get an idea you might need later on for other type of vacation. The Argosaronikos islands are one of the busiest tourist destinations with easy access as they are very close to the port of Piraeus and the coast of the Peloponnese. Aegina is the largest island of Argosaronikos and the closest to the port of Piraeus, while Spetses, Poros and Hydra are farther but the distance between them is small. The islands have wonderful beaches ideal for summer excursions and not only. Whatever of the Saronic Islands and visit, be sure to enjoy your every moment there as each has its own distinct beauty and magic. The islands of Argosaronikos Gulf are a short distance from Athens and consist of Aegina, Hydra, Agistri, Spetses, Salamina, Poros and Methana. All islands have frequent and daily connections to the port of Piraeus, thus offering visitors the opportunity to take excursions and weekends. Aegina is just 1½ hours from Piraeus and attracts many visitors who arrive even for a one-day excursion. It has many fish taverns, bars, cafes, picturesque beaches and is ideal for family holidays. Methana is connected with a narrow strip of land with Argolida and is offered for peaceful holidays during the summer months. Another quiet island located near the Peloponnese is Poros. The small fishing village of Galatas with the beautiful sandy beaches, the Zoodochos Pigi Monastery and the magnificent lemon grove create on the island a tranquil setting for relaxing and carefree holidays. 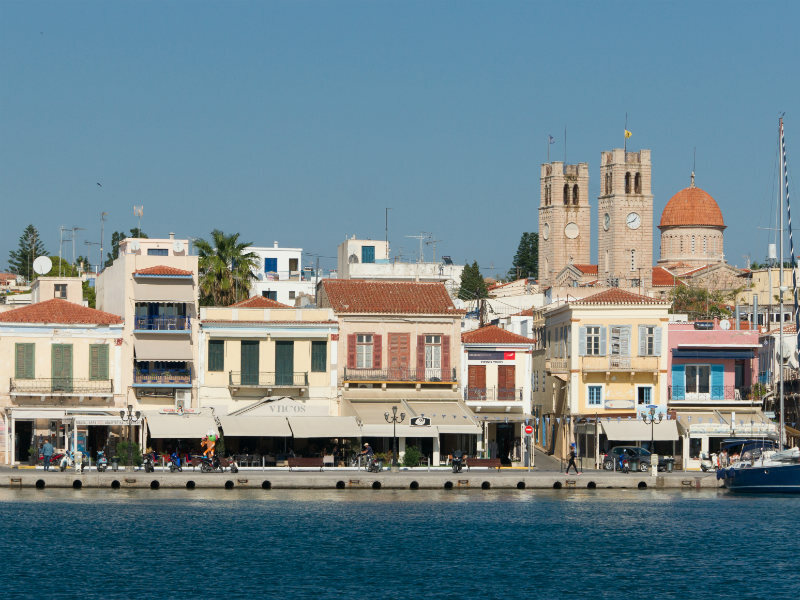 In Spetses, traditional neoclassical buildings will bring your mind in the old days of the island’s history. The green pine trees on the island and the towering pine trees stretching everywhere attract visitors who love the tour. The Hydra is an island of unique beauty that every visitor should visit. It maintains its traditional character and it is not allowed to drive the vehicles. Walking in Hydra you can admire the traditional buildings of the island, which is an ideal destination for an escape from the daily stress of the city. 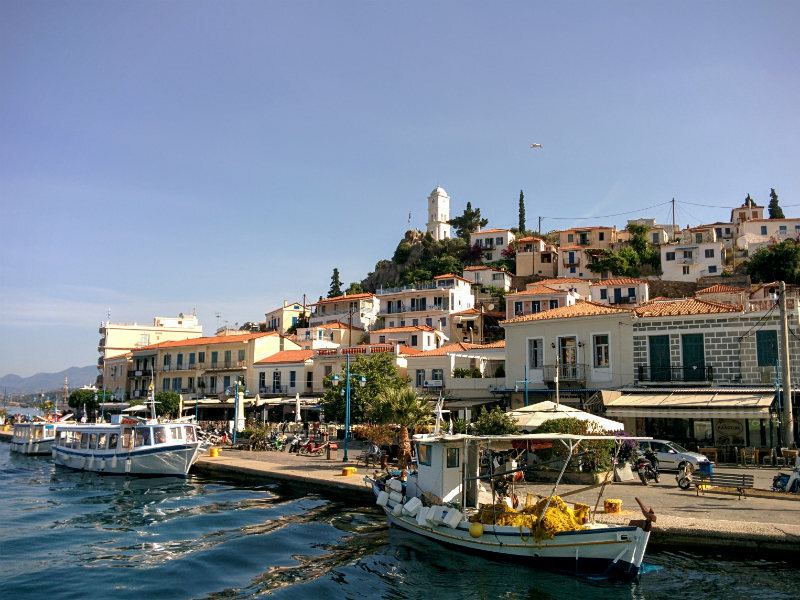 The Argosaronic Islands attract hundreds of visitors each year. Due to their small distance from the port of Piraeus, they are ideal for those who wish to make one-day excursions, small toboggans on weekends or holidays for more days. During your holidays you can also visit more than one island, as some are connected. Hydra is a small but beautiful island of the Saronic Gulf, considered as one of the most beautiful islands in Greece. Very close to the coast of the Peloponnese, Spetses is an island known for its beauty and picturesque..
Dokos is a small Greek island adjacent to Hydra, and separated from the Peloponnese by a narrow strait. The island is populated only by some Orthodox monks and perennial sheep herders.